The short documentary is made especially for TED Ads Worth Spreading Challenge ruled by Wieden and Kennedy. This inspiring film calls on the TED community to “rebrand capitalism.” It’s an ambitious call to action that has real potential, and it definetely worth spreading. 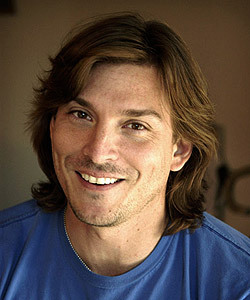 I already wrote in details about COMMON brand and Fearless revolution idea of Alex Bogusky. Here Alex explain by himself what make him to create such revolutionary business innovation. Documentary is shot by New York creative studio m ss ng p eces – team of artists and strategists dedicated to cross-platform storytelling. Here one more new short movie about the same topic. It shares the vision of COMMON, the “worlds first collaborative brand”. It is a raw look at what happened on day one and what Alex Bogusky, Rob Schuham, and John Belienberg had to say in the hours before the launch of COMMON.